Hello to all my Allbrands.com friends! 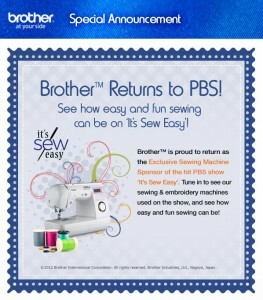 Joanne Banko here with some news about the It’s Sew Easy TV 900 series, beginning this weekend on your local PBS Station. Can you believe this show is in it’s ninth season?!? 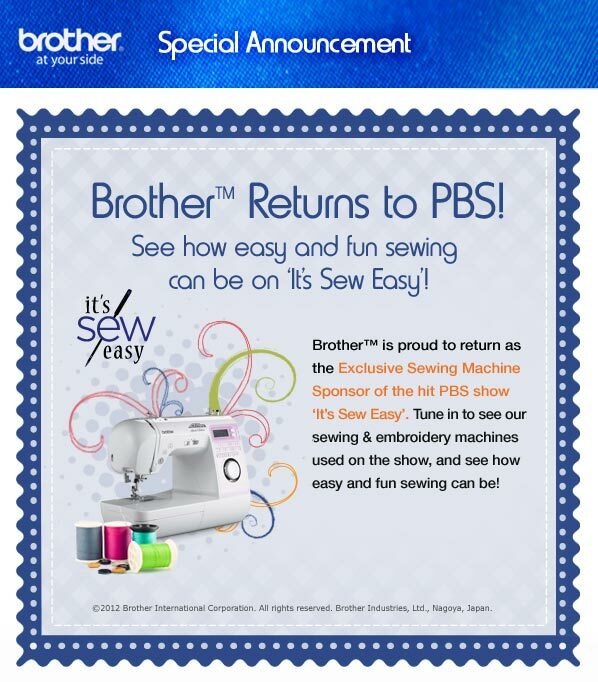 Once again Brother International Sewing Machine Company is sponsoring the show. That means the products and creative sewing tools you see each week can be found at Allbrands.com or your favorite allbrands.com retail stores. Get ready to put the “Do Not Disturb” sign on the door of your sewing space. The latest series, Timeless Techniques for Today’s Fashions will make you want to run to your sewing machines! After each and every show you are going to gain inspiring tips for creating custom clothing, accessories, and home décor. You can CLICK HERE to read more about the show on my personal blog. I’ll stay in touch with you during the next several weeks with updates and additional tips. I’ve included a press release directly from the studio where the show is produced. Talk to you again soon . . . in the meantime, enjoy the show! This season, It’s Sew Easy continues to trace fashion and sewing through the historical events, cultural influences and trends of the 20th century. New attitudes, new lifestyles and new technology changed what women were doing and wearing. Our sewing experts show how fashion fit, necklines, hemlines, accessories and embellishments all changed through times of war and economic ups and downs. Each week, sewing and design experts, featuring Angela Wolf, show how to use time-honored techniques together with the latest sewing tools and technology to create today’s hottest fashions. Enhance your sewing skills. Whatever our sewing skill level, enjoy sewing along with our experts as they show you why, It’s Sew Easy! Joanne Banko is a freelance sewing educator and a self-proclaimed sewing cheerleader. 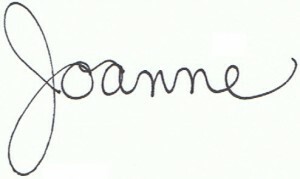 You can see Joanne’s online teaching segments broadcast on the popular PBS TV show, It’s Sew Easy, and online at www.itsseweasytv.com. 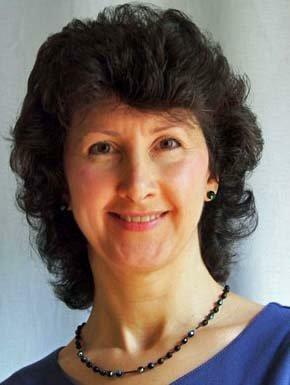 She is a frequent contributor to Designs in Machine Embroidery magazine and author of the book Wrapped in Embroidery. The book is available at AllBrands.com. CLICK HERE for a preview. 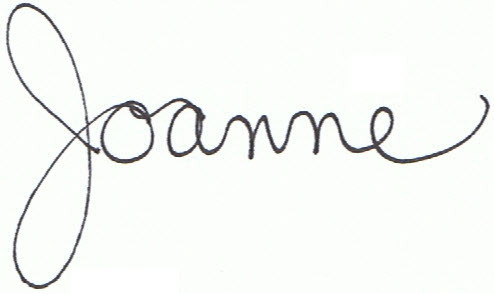 You can visit Joanne at www.letsgosew.com.